Conor McGregor's possible rematch against Nate Diaz at UFC 200 might not have set pulses racing, but there's a potential fight further down the line which could be a massive earner for the Irishman. Despite suffering his first UFC defeat against Diaz, McGregor is still the current featherweight champion and his striking coach, Owen Roddy, says a match-up against former lightweight champion Frankie Edgar in New York later this year is a strong possibility. "That would be amazing - realistically that would be huge for the first New York show," Roddy told Sky Sports. "Madison Square Garden would be fantastic. McGregor and Edgar could fight at featherweight or even at lightweight – Frankie spends a lot of time there, and he was the lightweight champion. 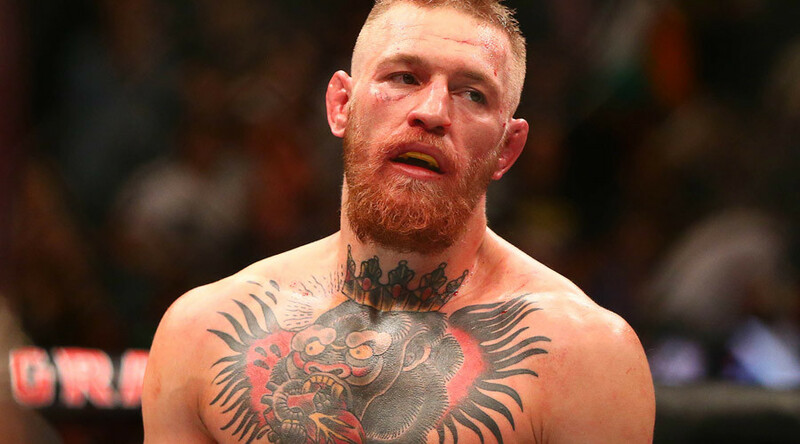 "But if Conor is on the card, it would be huge anywhere." McGregor versus Edgar has long been discussed by fans and pundits as a potential blockbuster UFC bout, and New York's large Irish population coupled with Edgar's roots in New Jersey would make it an easy sell for the UFC. It's understood the promotion is targeting its first New York event in November and December, with MSG almost certain to be the venue. Regardless of what happens at UFC 200 in July, McGregor would have around four months to prepare for a meeting with Edgar and the fight has the potential to draw a massive crowd to MSG and on pay-per-view. While McGregor's ability to sell a show can't be questioned, there's another potential fight the UFC could set up which would send the New York numbers through the roof. Former bantamweight champion Ronda Rousey is believed to be on course for a return to the sport in November – maybe to meet Miesha Tate for a third time as she looks to regain the title she lost to Holly Holm at UFC 193. Tate's stunning victory against Holm at UFC 196 has set up the possibility of another meeting with Rousey and with no love lost between the pair the fight would be the ideal event to co-headline alongside McGregor versus Edgar. Rousey's defeat against Holm has done nothing to affect her status as the UFC's most marketable female fighter, with a hosting stint on Saturday Night Live and a Sports Illustrated Swimsuit Issue cover appearance proof of her ongoing popularity. For Tate the fight would be the perfect opportunity to avenge two previous defeats against Rousey and silence the doubters who say she has the belt on loan from the ex-champion. With New Yorker Jon Jones looking to win back his light-heavyweight title against Daniel Cormier at UFC 197 next month, president Dana White could also have the mouth-watering option of being able to include perhaps the sport's greatest ever pound-for-pound fighter in a glittering triple-headlined event at Madison Square Garden.